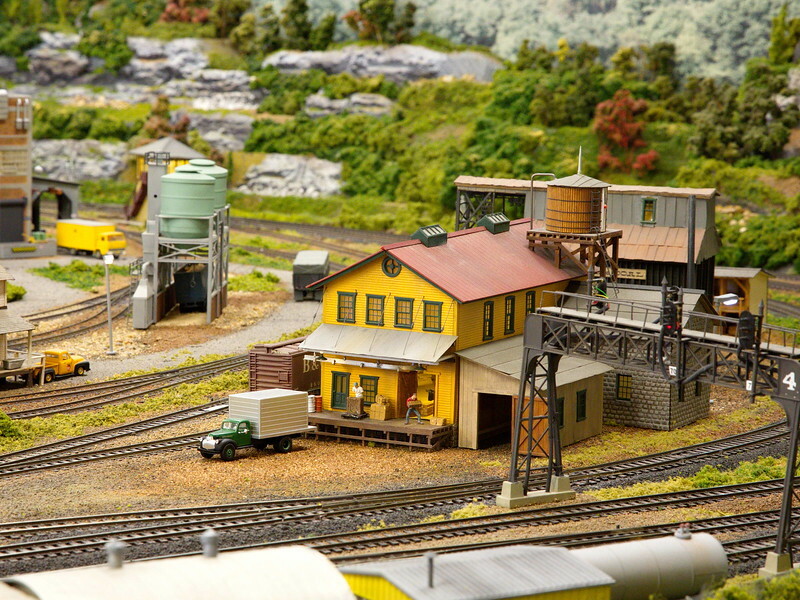 On 6/24/15 my friend Hermann and I visited the Apple Valley Model Railroad Club layout in the old train station in downtown Hendersonville, NC. 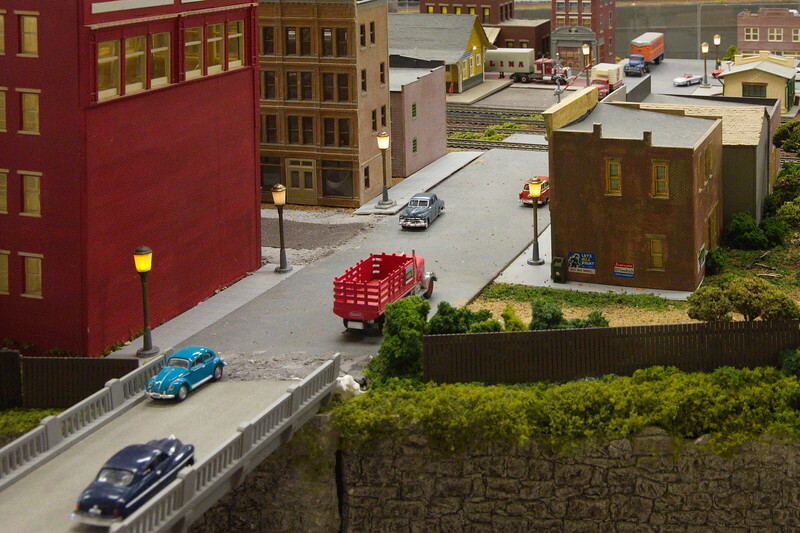 It is a large layout built with reproductions of many of the local area's natural and man-made features. 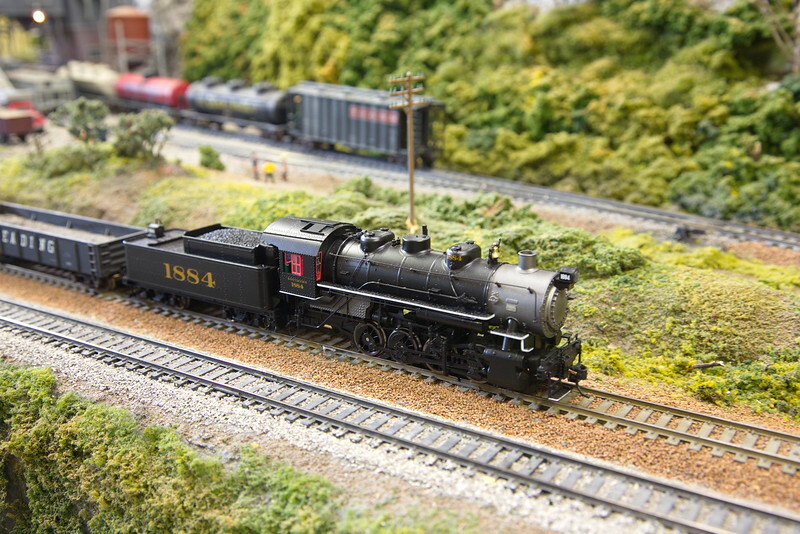 I took many photos, but discovered it is not easy to photograph a “speeding” train with ambient light. So I used a flash for some of the photos and raised the ISO for others. 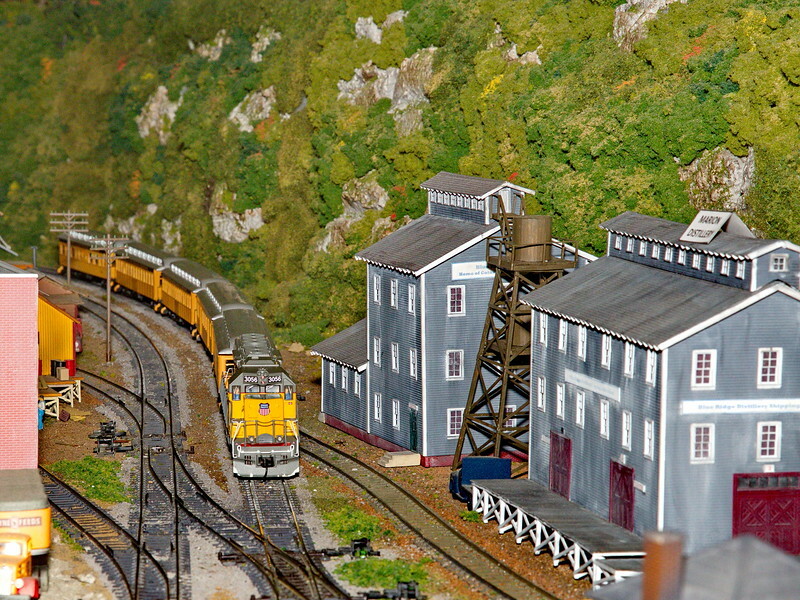 Hermann and I both enjoyed the hours we spent there, so I hope you enjoy my photos of the miniature (HO gauge) railroad. If you click "SLIDESHOW" you'll see the photos full-screen, but you'll not see the captions. If you want to see the captions, just scroll down to view the photos and captions. 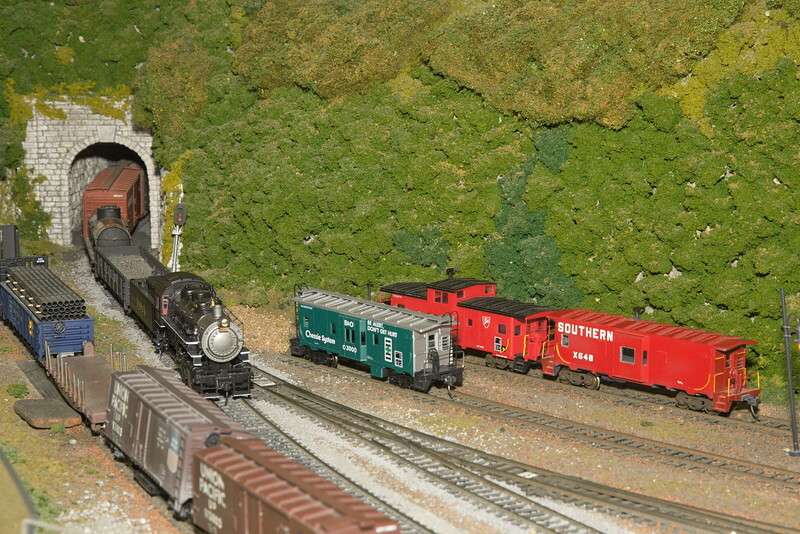 Southern Railway steam engine 1884 pulls a freight train through a tunnel. A Union Pacific passenger train, pulled by a diesel engine, exits a tunnel. 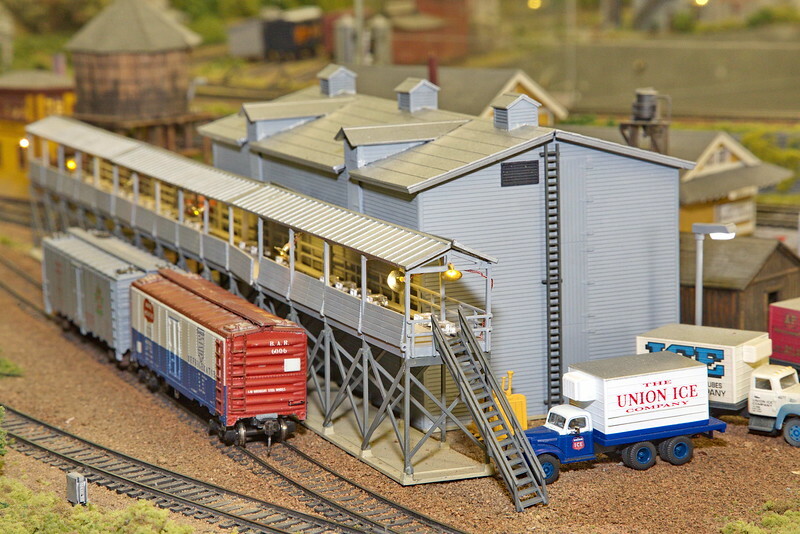 The Union Pacific passenger train passes a distillery. 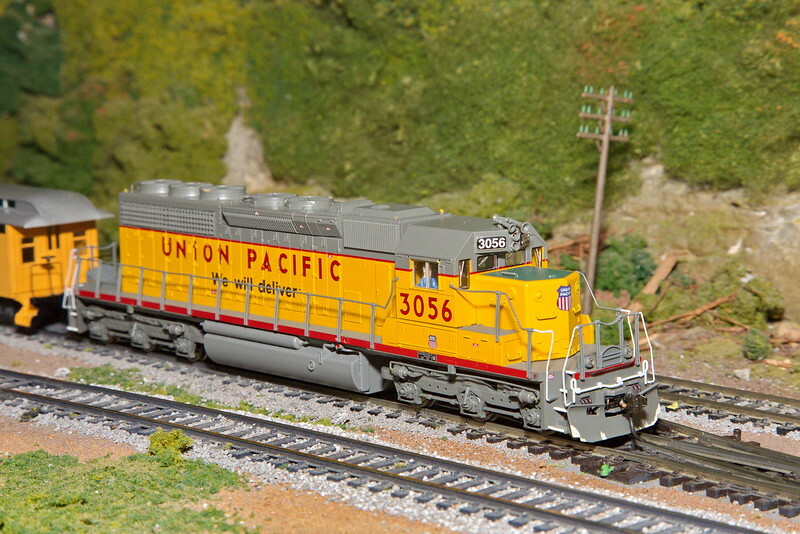 This is a close-up of the same Union Pacific diesel engine from the previous photos. 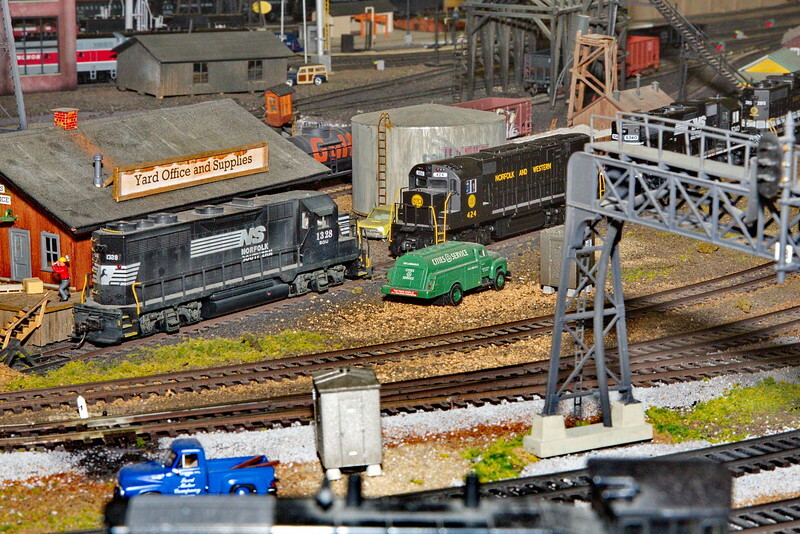 Four diesel engines, from three different rail lines (Norfolk Southern, Norfolk and Western, and Southern Railway) are in the yard for service. Two refrigerator cars on an ice house siding. 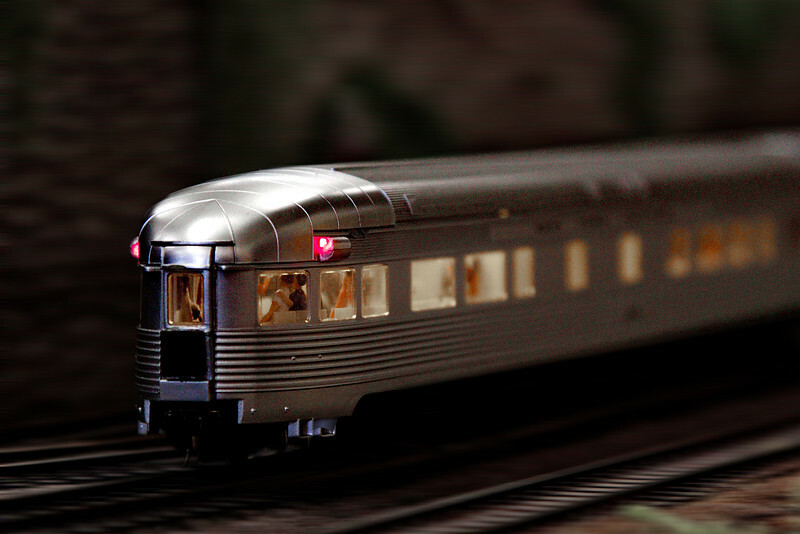 A New York Central passenger train zooms by at dusk, with its passengers visible inside a lighted car. An industrial part of town with railroad tracks running virtually everywhere. City street with a bridge and a railroad crossing in downtown Hendersonville, NC. 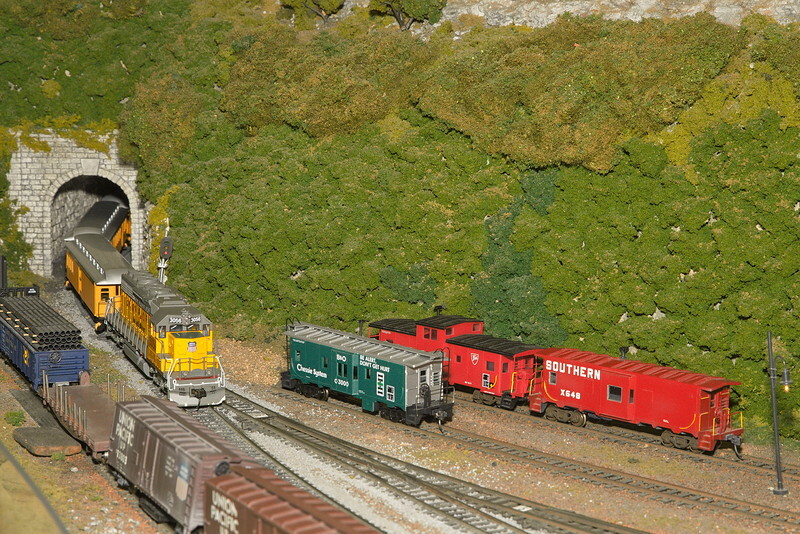 Another view of Southern Railway engine 884 and its freight train, the same train that was exiting the tunnel in the first photo in this gallery. A passenger train passes by at dusk. A passenger train passes under yard lights at night. 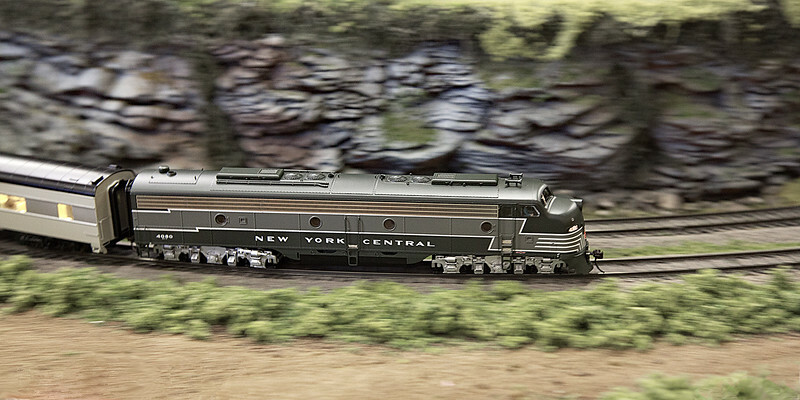 A New York Central diesel engine pulling a passenger train rounds a bend. The engine from the previous photo and part of its train round the bend below the Saluda, South Carolina station. The last car of a New York Central passenger train passes by a farmer's pickup truck at dusk. Peeking into the car in the prior photo shows a couple apparently having a good time as their car goes clickety-clack down the tracks.